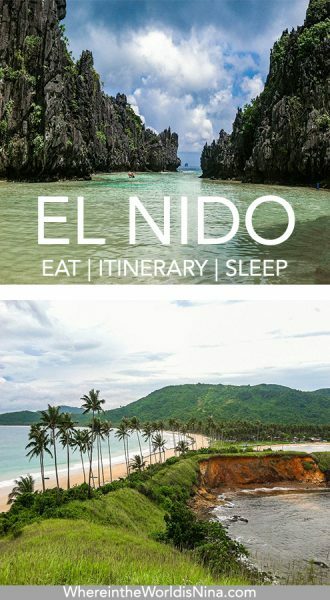 I’ve heard about you for so long El Nido… I didn’t know I would get lost for a week with you and I’m so glad I did. You are beautiful, El Nido, just beautiful. Thank you for showing me that paradise exists. Yes, I know, it’s the typical spot to go to for tourists in the Philippines. White sand beaches, gorgeous turquoise waters, limestone mountains, and incredible marine life. Everyone wants to be here! Including me (again). Sure, many long-term travelers, me among them, sometimes prefer to sidestep the tourist hot-spots, but honestly, even I have to admit, some places are touristy for a reason. El Nido is one of those places, possibly because there are just so many things to do in El Nido and because it actually is that beautiful. The actual beach in El Nido is nothing to get excited about. It’s full of boats and a far less than fabulous shore. 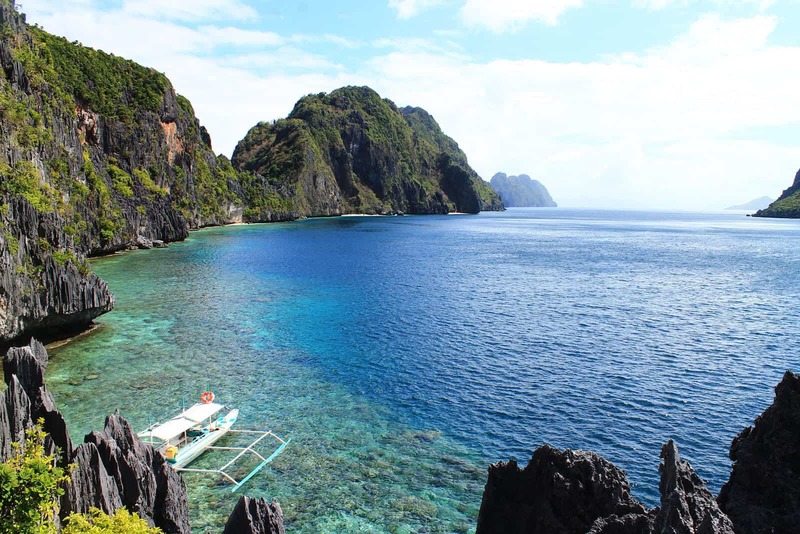 But the town is cool and funky and the islands you can hop to as part of your El Nido itinerary are beyond magnificent. You can zipline, you can party under the full moon, and you can just bum it at the beach. Yes. Corong Corong is an excellent choice for a beach to chill at that’s just a quick ride over from the town of El Nido. Corong Corong is worth the hop over from town. If you’re feeling adventurous, you can actually zipline from Las Cabanas Resort. The line goes from the coast to a nearby island (also accessible via a footpath), and back again. After that, you’ll really feel like you earned your right to beach bum it. And then in my hungover state, bask under the sun. Kayaking can be an incredibly physically taxing activity but you won’t be noticing (until the next morning) because your mind will be too focused on the beauty that surrounds you. 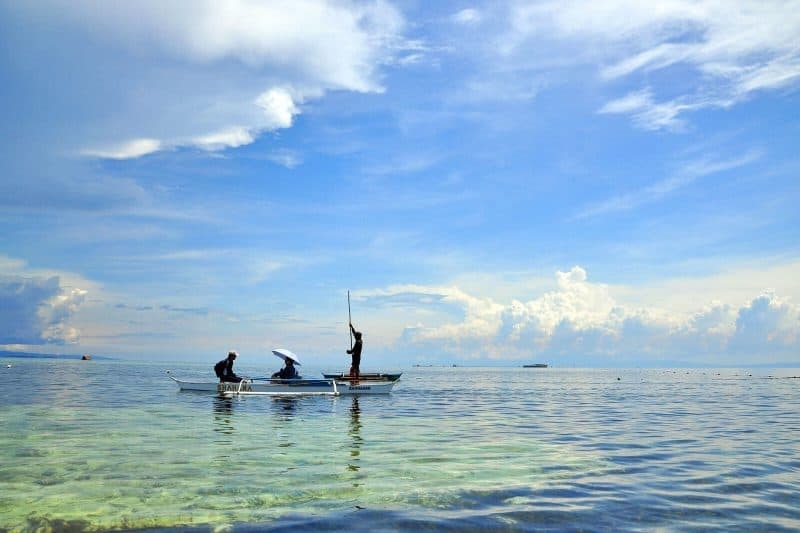 For those of you up for a great workout, kayaks and glass bottom boats are available for rental, and you can go it on your own or with your friends. Kayaking is one of the most memorable things to do in El Nido—paddling around the nearby islands in your own private kayak on glittering turquoise waters. Just pay attention to the weather and the tides. Safety first! Swim with the fishes! Take a boat out to Helicopter Island (this is separate from the El Nido island hopping tour that will take you out there), and dive down 12 meters to swim through a forty meter long underwater tunnel. Look up as you swim through to see little openings in the tunnel that breakthrough land. 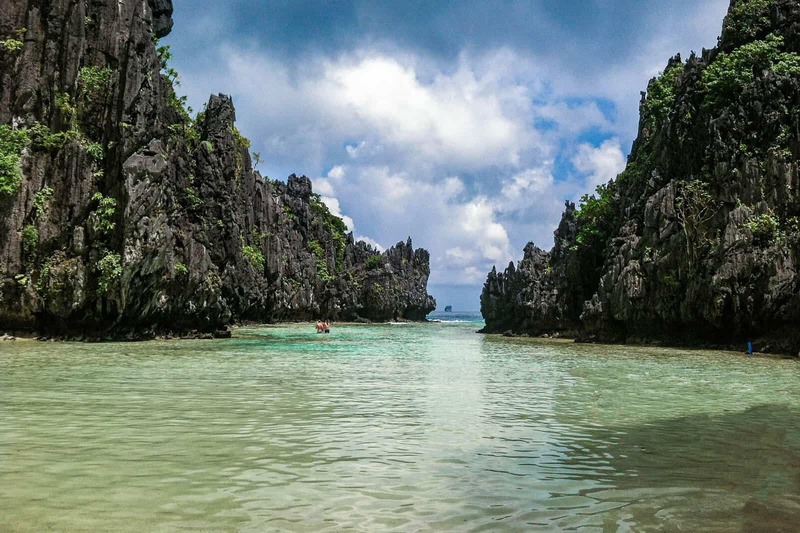 Wave to the sea life, and count this is the “what to do in El Nido” item to check off your list. If I was diving then, I would have LOVED to do this. Looking for amazing scenery and 360-degree views? Head to Napcan. You can hire a driver or rent a motorbike and ride out yourself. It’s only an hour away on land and the vistas are breathtaking. The beach is also nothing to frown at. You’ve got four miles of long, smooth, glittering shoreline to splash in, so bring a blanket and your camera equipment and make a day of it. There are only a few little cafes sprinkling along the coast to refresh and munch at making this a super low-key beach to relax on. If you’re an outdoorsy fitness-crazed kind of traveler, take this two hour up and back hike. You rise about 750 feet above sea level on a super steep scale the side of a mountain hike that allows you to look out over the surrounding islands of Bacuit Bay with a bird’s eye view. The photos you take alone will make this trip worth the while. You’ll also get big-time bragging rights for doing something so daring. 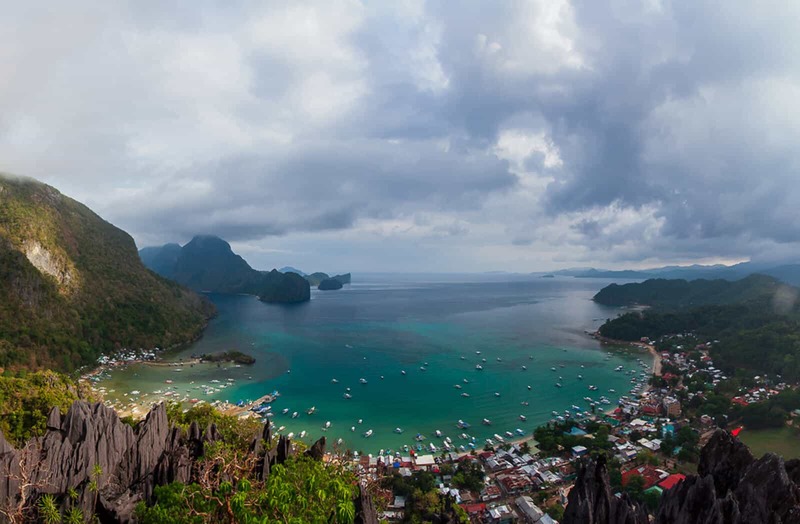 This may be the prettiest workout of your lifetime, and easily one of the most strenuous things to do in El Nido, with a fantastic reward at the top. You didn’t think I’d leave you without waterfalls to explore did you? Of course not! Stop on your way from El Nido proper to visit Nacpan (this is why it’s good to just jump on a motorbike; you can stop when you want to), and hike from the road for about a half hour to reach these falls, a big one and a small one. You can of course just enjoy the relatively easy hike (wear flip-flops; you’ll get wet hiking across wet areas), or you can swim in the pool at the bottom of one of the falls. The total hike should take you a couple hours if you take your time. Finally! You had to know this was coming. 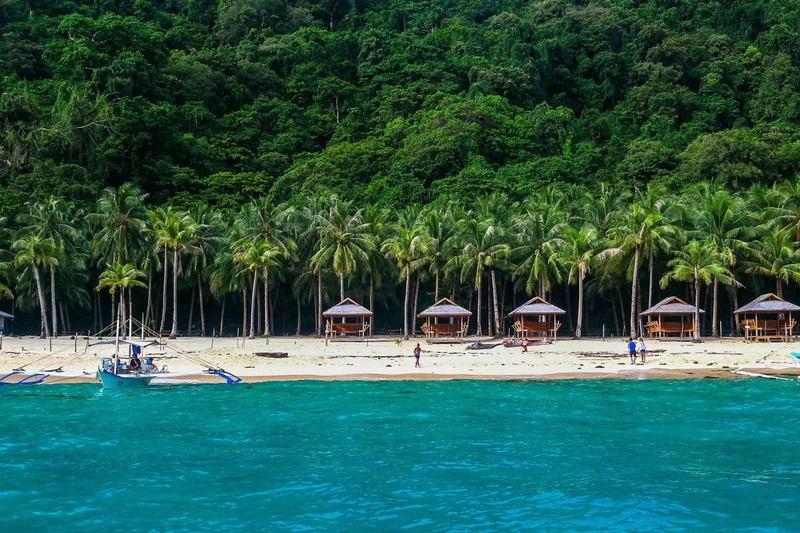 If you’ve heard or read anything about El Nido, you’ve heard about island hopping. It’s actually four different tours you can take that follow the alphabet, A, B, C, and D, all of which will take you to separate islands to experience separate adventures. These views, that blue… El Nido, you’re a beaut. They all include some version of thrill, a bit of beach bumming, a little snorkeling or sea life watching, and of course magnificent views. In fact, if you want to know more about the tours, you can check out my entire love letter to island hopping on El Nido. How long you make your El Nido itinerary is really up to you. You’ll have to fly into Puerto Princesa first. From there, you can take a van, a bus, or a rental car at varying price levels and trip lengths. But DON’T skip over Puerto Princesa! The shortest amount of time it will take is obviously in a rental car, and that’s about 5 hours. 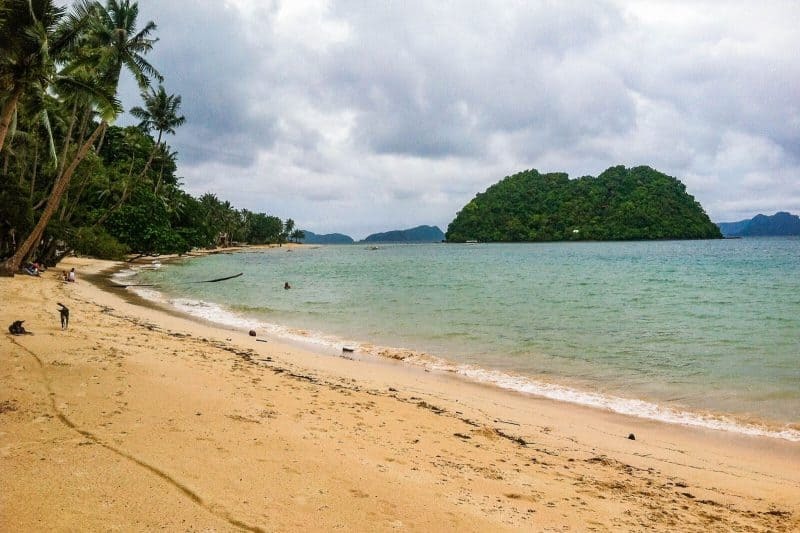 So you likely won’t be getting into El Nido ready to jump into action. Maybe plan to hit the full moon party in Las Cabanas that night if you’re here at the time of the month? If you plan for a short, 3-day minimum, trip, part of your El Nido itinerary must include at least one island hopping tour. I took A and C and both of them were SPECTACULAR. Clearly, I’m recommending two tours, but again, at least take one. 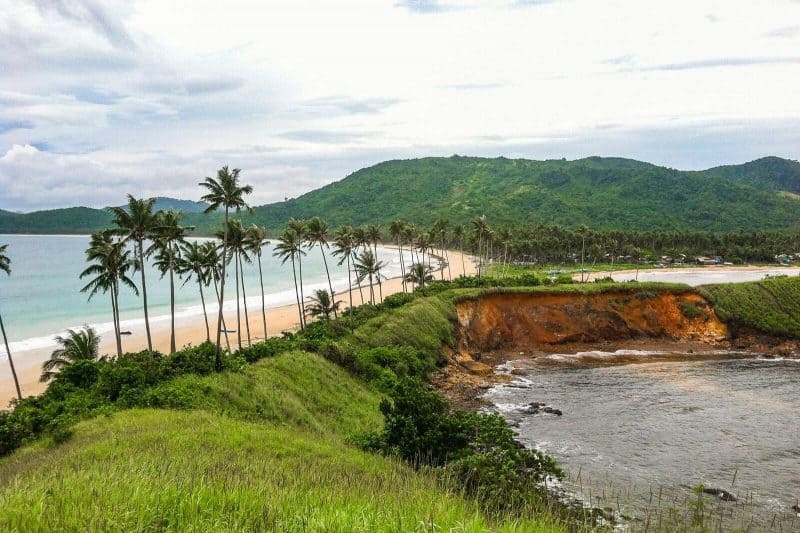 Also make sure you hit Nacpan beach. The views from Nacpan beach alone are worth the entire trip to El Nido, not to mention the adventure-filled (if you stop for the waterfall hike) ride out and back. For a longer, 5 day El Nido itinerary, you can add in another beach bum day or simply a day hanging around El Nido itself. Then make sure you book another island hopping tour. V and V – A bagel joint… OMG…bagels. By this point I had been in Asia far too long without good bread… This was an exciting spot. They also had a pretty sweet veggie burger. Blue Azul – Another yummy spot. Here you’ll get downright decent falafel and hummus. Trattoria Altrov’e – Amazing wood-fired oven pizza. The perfect place for you if you’re from the states and you’re missing home. Happiness Beach Bar – Super fresh, made from scratch, hummus and falafels, breakfast, lunch, and dinner, and you get to swing while you sit at the bar! What more can you ask for? Oh yea! Happy hour 2 for 1 daiquiris or margaritas. Put this on your things to do in El Nido list. I loved it here. I really did. It was dirt cheap. Like legit dirt cheap, 500 pesos ($10 USD) a night. And it was super small, as in my friend and I were tripping over bags to get to lockers that were blocked by more bags. But! The social scene was awesome, the staff was outrageously accommodating, and a “breakfast” was included. Okay, so breakfast was basically a banana and some oats and milk, but hey! Beggars can’t be choosers. This is one of the best places to stay in El Nido. The rooms are spacious, the staff is very nice, but what takes the cake is the view which is amazing. However, the climb to this place can be problematic for those who may be out of shape. For an extra $20 USD you can stay on the beach in a resort that is fully equipped with everything you need. You get your own room, bathroom, internet, and even an ocean view. For the price, this place is worth it. Want a nice beach just outside your door? If so, stay outside of the main town of El Nido and try the Last Frontier Beach Resort located on Corong Corong for a bit of a splash-out. Remember I told you how amazing and absolutely must see Nacpan is? Well, you can go all out and stay in one of their luxury camping cabanas. The sheer beauty of this place is mind-blowing, and worth the extra dollars if you’ve got them. For $50 a night, you get a soft bed, a good sized “room,” a great breakfast, and even the use of a motorbike all included. This hostel is probably the best value for money in the lower price range place to stay in El Nido. For a couple of bucks a night you get comfy beds, clean toilets, the friendliest staff and a complimentary coconut oil hair treatment (with magic hands)! Here are even more places where you can stay in El Nido. TIP: 12go.asia is the best way to book ferries, buses, and trains ahead of time in the Philippines! 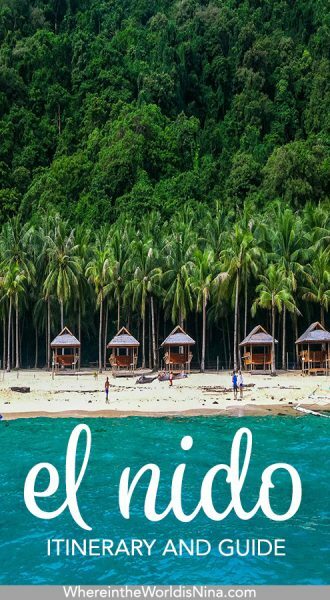 El Nido is by far still one of the best places to visit in the Philippines, which part are you most excited about? Let us know in the comments!